Having debt is something that countless Americans face on a daily basis. While being in debt is not always crippling, accumulating debt certainly is. If you have any debt at all, or are planning on making a financial move that will likely put you in debt (such as going to college or purchasing a home) make sure that you are well versed in how to manage the debt that you acquire. If you already have debt, make a financial plan that spells out how you will pay off that debt in X amount of years. In your financial plan, there are some key things to consider that are explained in detail below. 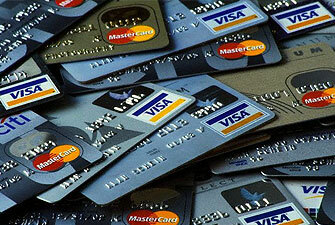 First and foremost, try to eliminate credit card debt from your financial agenda. Americans are swamped with credit-card debt, with the average American household owing over $15,000, and that’s with just one credit card. If you have a credit card, take these payments seriously. The interest rates on credit cards are often high, meaning that they will accumulate quickly if you do not address them right away. Paying your debt off from the highest interest debt down is how to get yourself out of debt most efficiently, so if you use the same tactic in paying bills before you are in debt you will be ahead of the game. That being said, beware of the minimum payment trap on credit cards. While the option of making the minimum payment is tempting, it will never begin to cover the interest that you owe, they are set up that way for a reason. Your mortgage should be the last thing you pay off. It is a common mistake to pour all of your money into your house payment so you reach true ownership faster. This isn’t actually the most effective way to get out of debt, as mortgages typically have some of the lowest interest rates out of all other kinds of debt. Mortgages also give you more time if you need it; you can refinance for a slower or faster rate of payment depending on your circumstances. Since most people stay in houses for years, even decades, it makes more sense to put your mortgage on the lower end of your debt payment priority list. Pay it off at a medium rate until you have all of your other debts under control or eliminated, then make your mortgage your top priority. It just doesn’t make sense to borrow money to pay off debt, because it seems that you are actually creating more debt as you pay if off. Sometimes, however, the only way to pay off a huge priority debt is to borrow money from somewhere else. In terms of paying off debts, watch where you borrow money from so as not to dig yourself into a deeper hole of debt that you can’t recover from. While it may seem like a reasonable (or, at least convenient) move to borrow against your home or your 401k to pay off credit card debts, it could actually be quite dangerous. It could ultimately lead to you losing your home or falling short of your retirement goals, meaning that you have to work longer or rapidly adjust your retirement plan. A good rule of thumb for borrowing against your house is this; if what you are borrowing money for doesn’t improve the overall value of your home, don’t do it, or find another way to pay for it. If something will increase the retail value of your home, such as redoing the kitchen or adding a garage, in the long run it will pay off and therefore makes more sense to borrow against your mortgage to do it. Only put yourself in more debt if you are certain that it will help you financially at a later time. Otherwise, steer clear of financial moves that could put you in a vulnerable position. When you are making a financial plan, don’t forget to include an emergency cushion. Have at least three months of living expenses on hold (six if you can afford it) just in case the unexpected happens. While it may be annoying to have so much money that is untouched, if you suddenly need to buy a new water cooler or fix your car’s engine, your entire financial plan will not be thrown off. In the long run, it will only help you to have that safety net in place. Most importantly, get help as soon as you need it. The quicker you seek help to manage your debt, the better. Don’t wait until your debt is breaking your back to reach out to a debt-counseling agency. At that point, some agencies may not be able to do much to help you out of your situation and if so, it will be a long grueling process. If you are feeling overwhelmed, look into debt-counseling services immediately. There are many reputable agencies that can help you consolidate your debt and assist you in better managing your finances. Just beware of where you go for debt help, as there are many disreputable agencies out there as well. Overall, the most important part about managing your own debt is staying aware of your debt, your debt payments, and your overall plan for getting out of debt – or better yet, staying out of it. Stay as organized as possible so that you don’t miss any payments and have to make them late. Keep up on how much you are paying to your different debts, and which ones have the highest interest rates. At some point, you may realize that it makes sense to refinance or switch up some of your payments. The sooner you do these things, the better. If you are aware of your financial situation, it is much easier to manage and improve it than if you are in the dark. Make getting out of debt a priority. You will most likely get out of it the effort you put into it. Hi another great article with my credit cards I now only use them as a way of a short term interest free loan. I buy stuff only if I have the mo ey already in my bank. To pay it back I use my credit card at the beginning of the start of the month. It then gives me the rest of the month.until the bill comes through then 4 weeks to pay it off. So I get nearly 2 months with my money still in my bank account. Without paying any Interest. Discipline is the key here though to make sure you don’t get any charges. Being full of debt from credit cards is the worst situation possible. I’ve known many people over the years with even 12 credit cards and they don’t even monitor their spending, it’s shocking to say the least in this economic climate. I’d rather have 1 credit card and 1 mortgage to pay, things that I can control. I think that credit cards are the worst way to be owning money to someone. Because if you use a credit card all the time you will lose the notion of how much money you need to pay to make your account be without debt. I don’t use credit cards. I always prefer to pay with cash and I always try to save as much as possible. If you start having big debts try to ask help to friends and family is the best way. If you ask to bank then your debts will keep growing. The best is to ask to someone you trust so you can pay when you have it. Having a credit card has its own advantage and disadvantage, the most important thing to always bear in mind is to monitor your expenses and you should know your limitations to avoid overspending and end up in more debt. Back in the early 90’s I racked up a tremendous amount of debt. I had more Visa Cards than a human should be allowed. On top of this I had two mortgages, and two car loans. Those days are over. I now have only one credit card. That is all I will ever need. Stayed informed and stay in control – this is great advice! Understanding how debt works along with how much it will cost you in the long run could help you to think twice about taking on another credit card. In the past, I have paid off smaller debts then used the same amount of money to add to the next debt as long as my budget will allow. For example, if it takes me two months of $50 to pay off a small debt – once it is paid I will use the same $50 per month to add to the next card’s payment. This is in addition to the regular amount that I am already paying. This way you will get out of debt much sooner!